Denna produkt ger dig 918 bonuspoäng. Stolpvagn typ ÖBB, längd över buffertar 229 mm, epok IV. Stake wagon of the Austrian Federal Railways. Epoch IV. 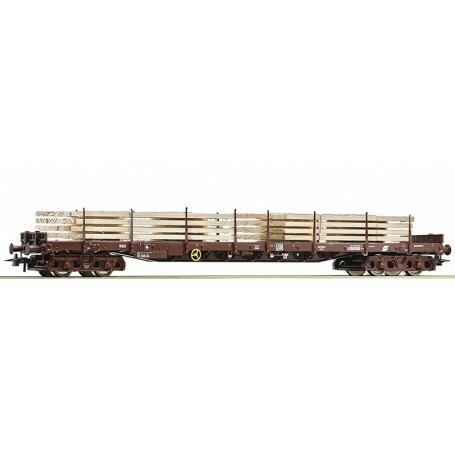 Wagon with authentic replicas of wood stacks.